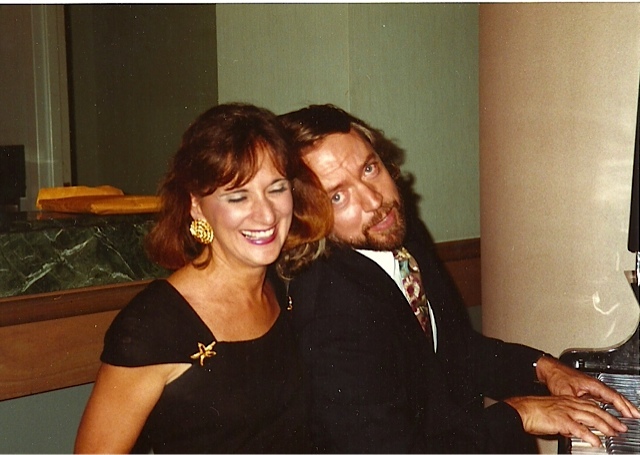 Franklin Courson and Nancy Latona at a previous reunion, looking like professional entertainers. ​God bless John Carroll High forever more." Had a great time seeing everyone at our John Carroll Class of '67 50th Reunion. Kudos to our committee on the outstanding job they did decorating the venue, providing the entertainment, food, photographs, and fun. We have truly been blessed as a class all these years by the love and closeness among our class members. Our deceased classmates were smiling down on us proud of our accomplishments. Will there be cake ? Santa gave me two new eyes for Christmas. After my Cataract surgery I put away my glasses after 60 years. Little scary in the mornings looking in the mirror, but I am looking forward to seeing my classmates in August at the reunion. ...sure to be an "entertaining" evening. Looking forward to our 50th. ! Looking forward to seeing some OLD friends!! Looking forward to seeine everyone! Can't wait till August. It will be fun. It's been so much fun re-connecting with everyone on the Committee. And every time someone new posts an RSVP, I get more excited about the party we'll have on August 5th!